Polar Bear Skimmer - SOS Safety International Inc.
Polar Bear The New Generation of Ice Skimmers developed in cooperation with SINTEF Material and Chemistry in Norway. 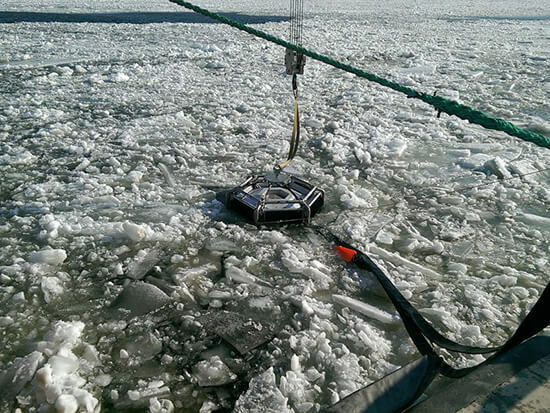 The design of the Polar Bear Ice skimmer has benefited from a continuing development program over nearly 3 years. 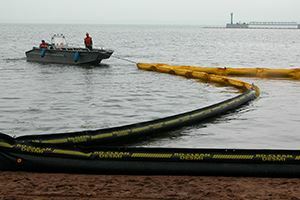 The resulting system is a very versatile, reliable, powerful and seaworthy oil skimming system that can be used in ice-infested waters. 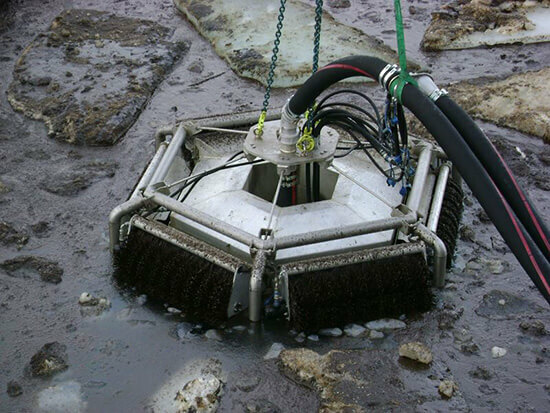 The Polar Bear is a powerful offshore ice skimmer which because of its compact hexagonal design ensures optimal contact with the surface surrounding the skimmer. 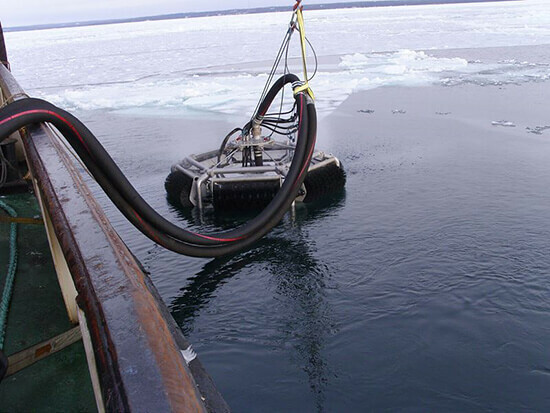 The Polar Bear is equipped with an Archimedes screw pump, the DOP 200 DUAL (or other DOP Pump) for offloading the oil and smaller lumps of ice. The Polar Bear Ice Skimmer has integrated floats which gives the skimmer a very good ability to float. 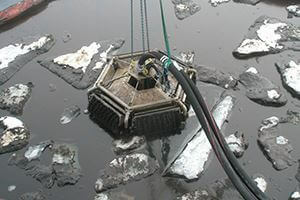 It is very easy to remove and replace a module on the Ice Skimmer. Compact hexagonal design – Optimal contact with the surface surrounding the skimmer. 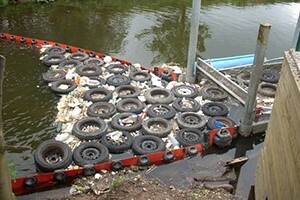 6 individual collecting brush modules driven by 6 individual hydraulic motors in two separate circuits – ensures a uniform rotation, enables each side of the skimmer to be individually operated. Removable brush modules – easy to remove and replace. Long brush bristles when rotating slowly – limits the actual pick up of ice. 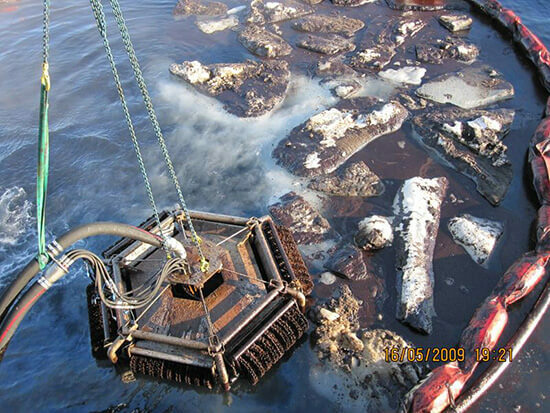 DOP DUAL 200 Pump – for offloading oil, smaller lumps of ice and cutting up debris. Number of brush modules: 6 pcs. 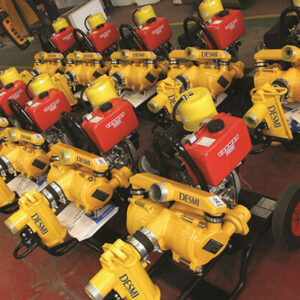 Brush-Module Hydraulic motor: OMP200 (200 cc) 6 pcs. *): IMPORTANT: The hydraulic flow must be adjustable within the range given. **): Other types available on request.